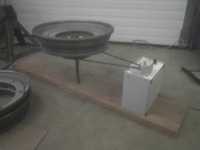 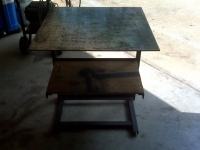 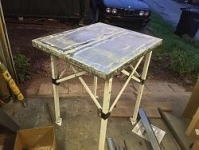 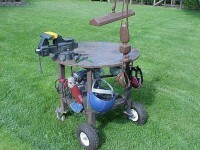 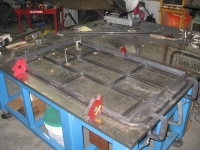 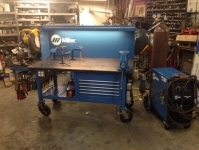 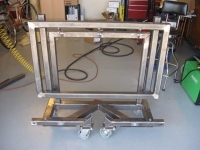 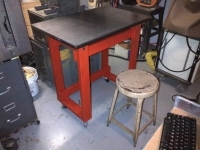 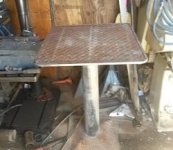 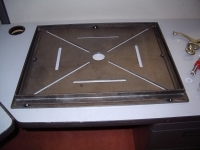 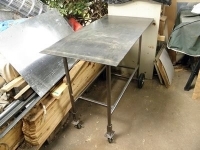 Homemade welding and work table modified to incorporate a cutting grate. 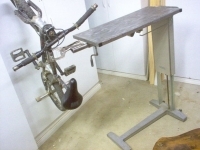 Also features a pair of vertical posts to facilitate the mounting of other equipment as necessary. 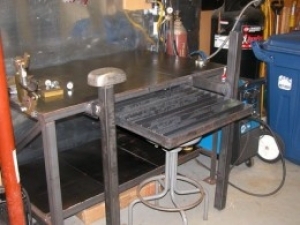 Gave me an idea for a slide-out sacrificial surface for my work table.